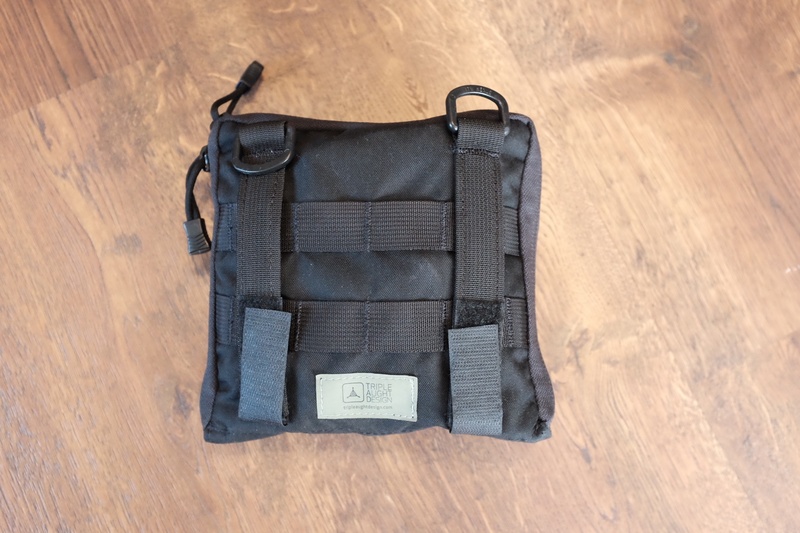 In the world of MOLLE laden products there’s no shortage of “admin pockets” or pouches if you prefer. 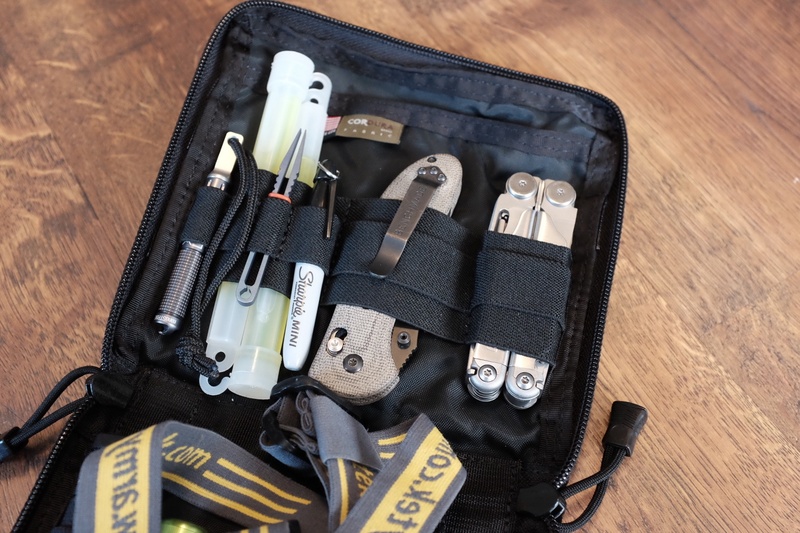 A quick search on Amazon will give you a plethora of options, but one of the best out there is Triple Aught Design’s OP1. I’ve long stayed clear of it as I thought it was either too small or too large depending on the reason why I was looking at it. I picked one up a few months ago to give a whirl, and I’ve been pleasantly surprised by it. The OP1 has a large footprint and looks much too thin to hold anything substantial. This is deceptive though, as the pouch actually has quite the ability to engulf large items, and flex outwards to become much larger than it’s dimensions would have you think. The pouch is 7.25” square, and an inch deep. However, as it is packed for the normal way I use it, and certainly in the photos you see, it rises off of my desk nearly three inches. It’s not that this pouch is big per se, as much as it is overly bulky. 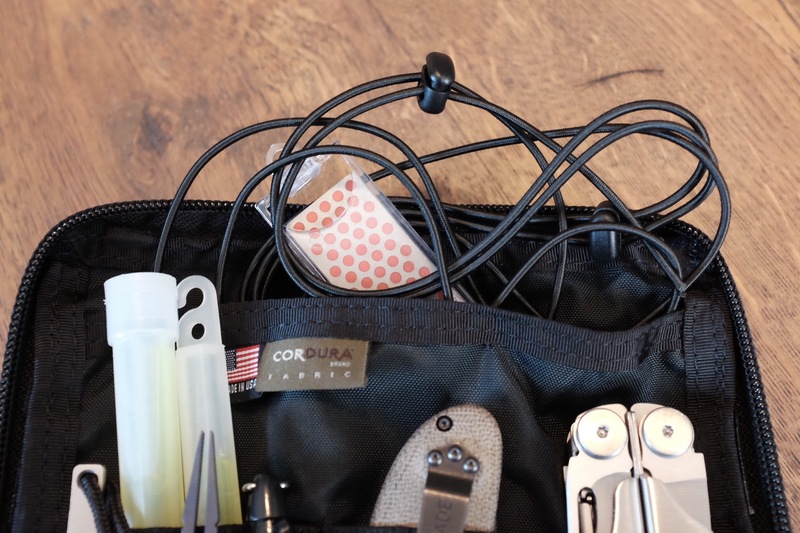 The 500D Cordura is a nice trade off between bulk and durability, but even with that having been made there is simply a lot going on, and it’s nearly impossible to pack this pouch small. unzipping the pouches reveals a bunch of elastic webbing to stow various sized gear. A zipper pocket on one side, and an open top pocket on the other. 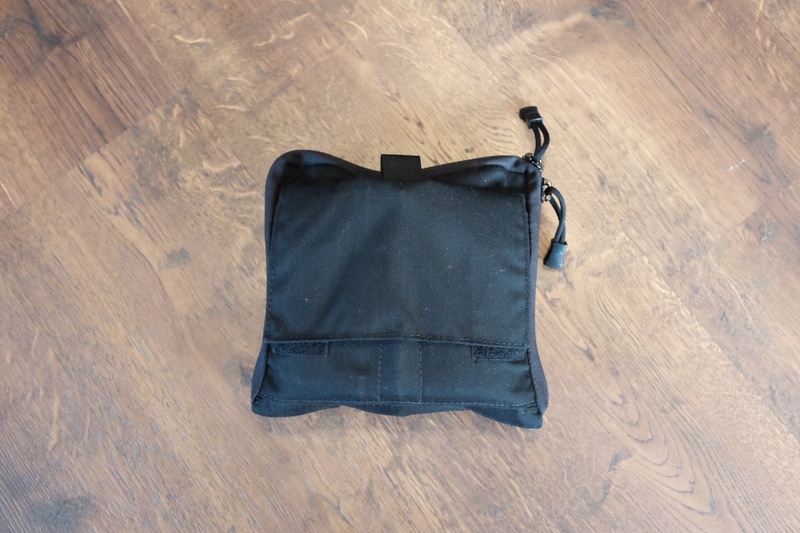 I often find that either I can’t store what I need in a pouch because it would be too bulky, or there’s not enough correctly sized slots to store what I want to carry in a secure manner. The OP1 does not have this issue at all. It has a perfect amount of elastic webbing to store your gear, and enough redundancy to make things fit in a reasonable manner. 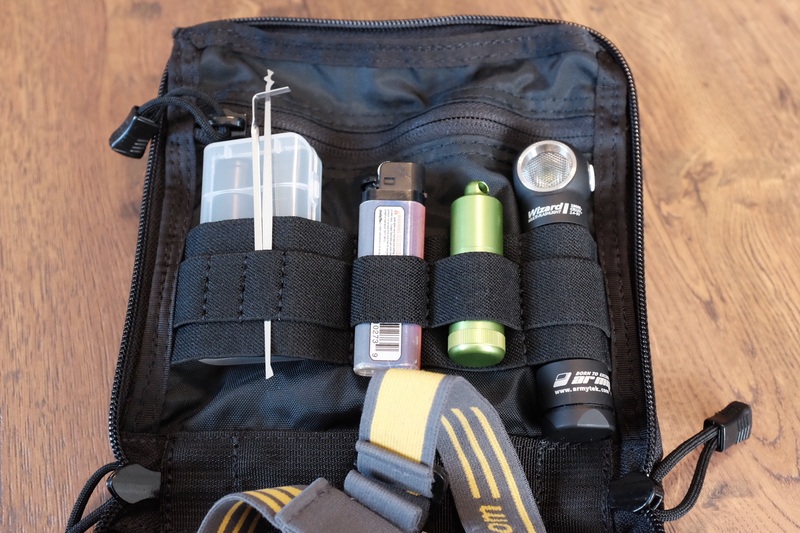 What’s more, it uses a lighter elastic webbing than other organizers which makes the entire kit easier to use. Combining it all together, and I quickly found a load out for the OP1 which I am quite happy with, and which stays put no matter what. The biggest issue with the OP1 is the zippers themselves. 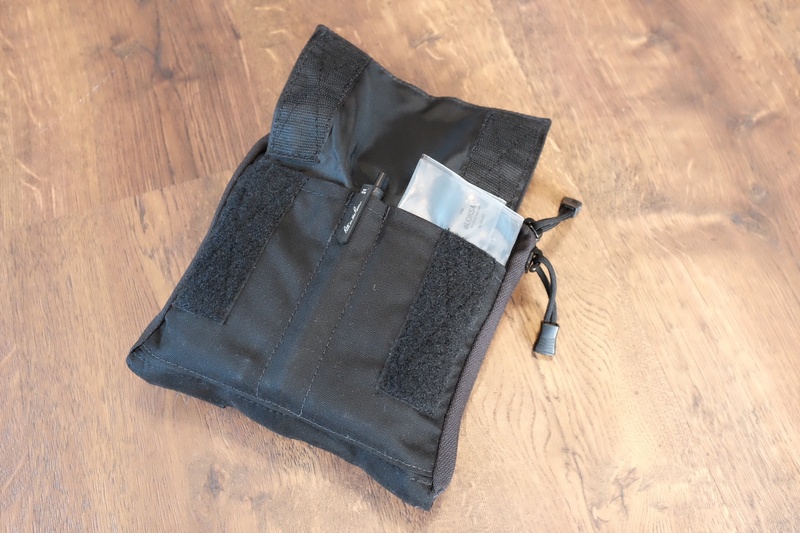 Because the pouch will rarely be setup in such a way that it easily closes, the wrap around zippers which allow for a full flat open, can be quick cumbersome to close. Typically you need two hands to close the pouch. It is not a deal breaker, but a tad annoying. That’s a ton of gear, all easily accessible in one pouch. Where this pouch really excels is in usability. 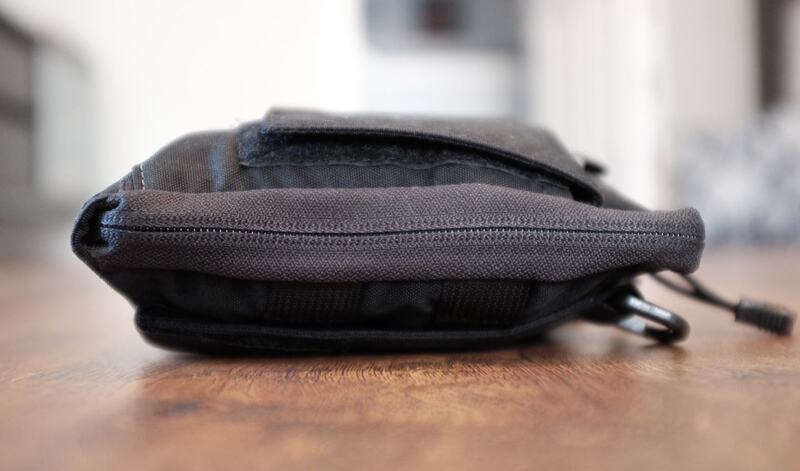 The big issue with other pouches I have tried is that they struggle to be usable. 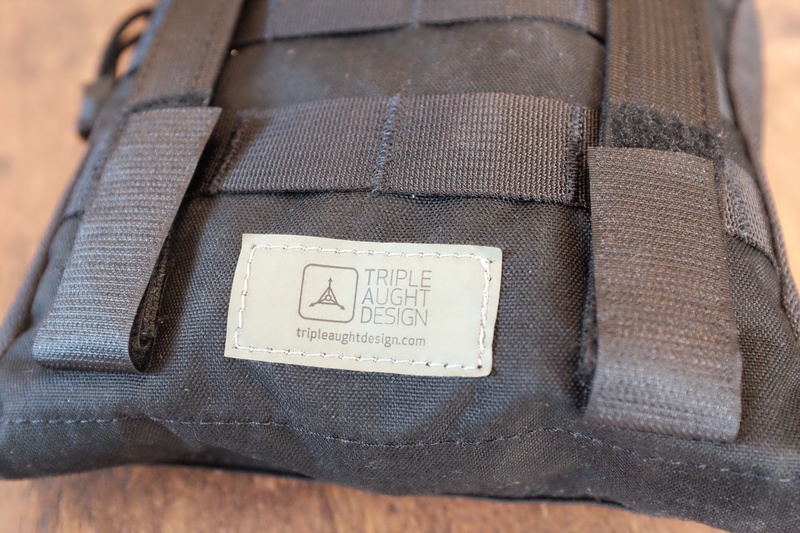 Triple Aught Design has done a great job at making this pouch universally convenient. If the pouch is not attached to anything it easily opens flat and gives you a surface from which to pull your gear and work out of. Likewise, it can attach to MOLLE or other daisy chains on your gear, either inside or out. There too it allows fast access while the gear stays put. (If you are to open the pouch vertically, the end dangling down has the zippered pocket so nothing falls out of it.) The OP1 also has two d-rings at the top so that you can clip into or onto other items which may not easily take the MOLLE system. I rarely have the OP1 attached on or in a bag, but rather use it as a bag to quickly add tools and gear to my packing list. 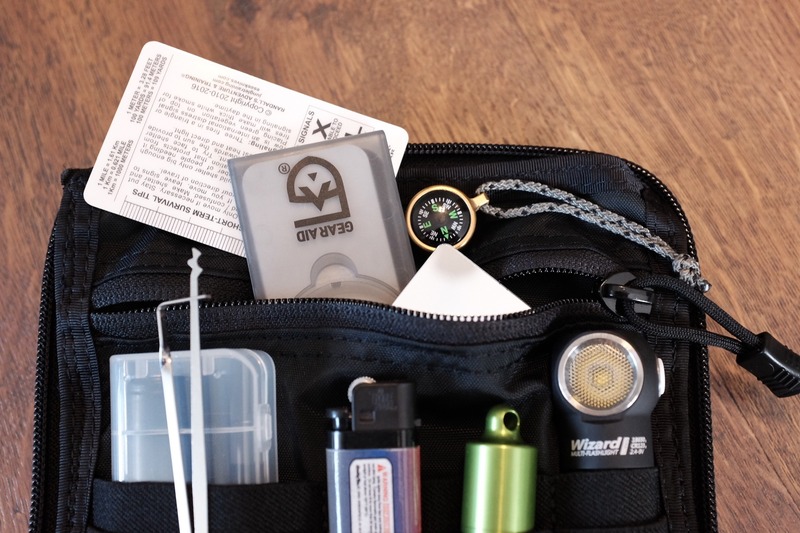 I can see this being my go to for an expanded survival kit, as it easily holds all of that type of gear that I might want to take on a backpacking trip because it holds an unbelievable amount of gear. 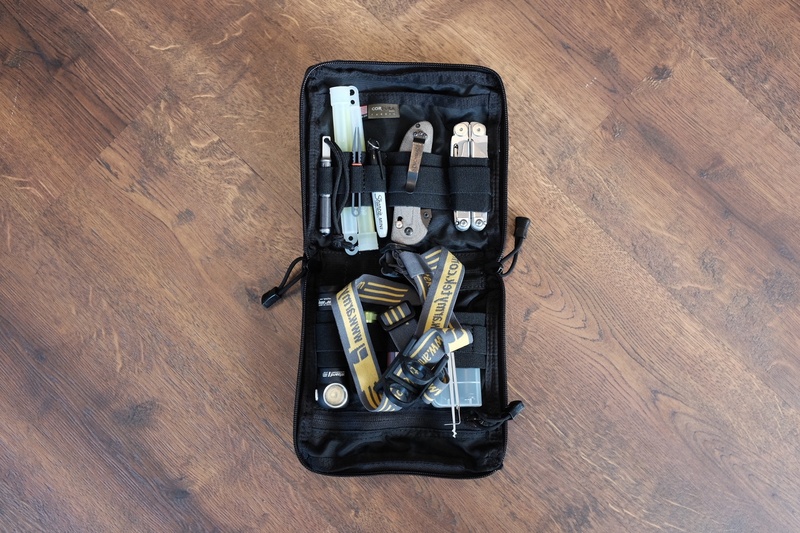 If you’ve been looking for something on the larger end with tons of organization, this would be my first recommendation.